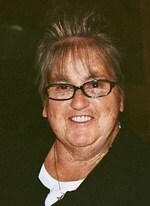 Marlene R. Geyer (GG), 82, died August 30th with her loving husband holding her hand. She was born July 27, 1936 in Friendship to Alforest Willey and Olive Burns Willey. Marlene grew up in Waldoboro and attended local schools. She met the love of her life at the roller skating rink and on February 12, 1955, she married Sidney A. Geyer. Together they made their home in Waldoboro for 37 years before moving to Edgecomb. Marlene worked for a brief time at a sardine factory in Rockland before becoming the meticulous homemaker she is fondly remembered for. She loved her family more than anything and it showed. Marlene was a devoted daughter visiting her mother in the Camden nursing home every day to ensure her every need was taken care of. She loved spending time with her granddaughters. Once her great grandson, Jake, was born, she officially became “GG” for Great Grandma. GG babysat for her great grandsons from the time they were infants until they started school and even then GG and Bampa would pick them up from school every Friday. Nothing gave her more joy than her “big guy” and her “little guy.” She was an amazing GG and we were all blessed to have had her in our lives. Over the years, she enjoyed gardening, soaking up the sun, playing cards with her friends, spoiling her granddaughters & great grandsons, and most recently playing Bingo at Coves Edge. 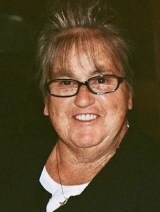 Marlene was predeceased by her parents and by a brother, Alforest Willey, Jr.
She is survived by her husband of 63 years, Sidney A. Geyer of Edgecomb; Son, Norman; Brother, Carroll Willey of Waldoboro; grandchildren, Stacy Densmore and her significant other Matt Densmore of Richmond; Mindy Davis and her husband Greg Davis of Thomaston; Cheyenne Geyer of Falmouth; nieces, Dawn Overlock of Warren and Candy Willey of Bath; Great grandsons, her “Big Guy” Jake Densmore of Richmond and her “Little Guy” Calob Densmore of Richmond. The family would like to send a huge thank you to all the staff at Cove’s Edge in Damariscotta for the love and care of GG. It was evident that she was not just a resident to them. Their love and fondness of her showed in every way. The family will forever be grateful. A private graveside service will be held in the Back Cove Cemetery in Waldoboro. In lieu of flowers, contributions may be made in Marlene’s memory to the Cove’s Edge activity fund. Cove’s Edge Resident Counsel, 26 Schooner St, Damariscotta, ME 04543. Arrangements are entrusted to Hall Funeral Home and Cremation Service, 949 Main Street, Waldoboro.